The rapid development of Hong Kong has occasioned the demolition of buildings and landscapes of historic significance, but film acts as a repository for memories of these lost places, vanished vistas, and material objects. Location shoots in Hong Kong have preserved many disappearing landmarks of the city, and the resulting films function as valuable and irreplaceable archives of the city's evolution. 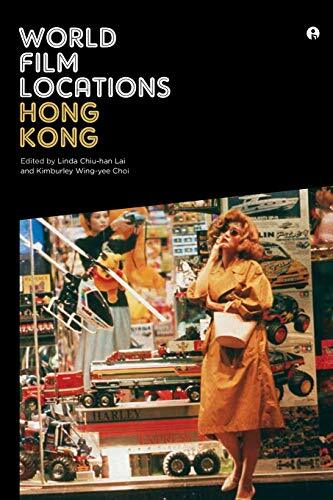 Far more than a simple collection of movie locations, this book delivers a rare glimpse into the history of film production practices in Hong Kong. The locations described here are often not the most iconic; rather, they are the anonymous streets and back alleys used by local film studios in the 1960s and '70s. They are the garden cafes with outdoor seating near the Chinese University of Hong Kong where moments of conflict in romantic comedies erupt and dissipate. They are the old Kai Tak Airport, which channels rage and desire, and the tenement housing, which splits citizens into greedy landlords and the diligent working class and embodies bygone communal values. Modern Hong Kong horror films draw their power from the material character of homegrown convenience stores, shopping malls, and lost mansions found under modern high-rises. As in the films of Wong Kar-wai and Johnnie To, readers will drift and dash through the streets of central Hong Kong to the district's periphery, almost recklessly, automatically, or for the sheer pleasure of roaming. The first of its kind in English, this book is more than a city guide to Hong Kong through the medium of film; it is a unique exploration of the relationship between location and place and genre innovations in Hong Kong cinema. Linda Chiu-Han Lai and Kimburley Wing-Yee Choi are associate professors of critical intermedia art at the School of Creative Media, the City University of Hong Kong.